Boro online communities - Lampwork Etc. Hi all! I'm hoping to get back into glass making in a few months. I used to do some work in soft glass but realized that I wanted more than a hot head. It wasn't feasible at the time to buy a more substantial torch setup (in a rental) -- so I put it on the back burner for a bit. I realize that I'd like to make small sculpture and maybe small paperweights/marbles. Seems like boro might be good option. Since this section is only moderately active, I went looking for Facebook groups on boro. The only group I found was full of macho pipe and skull makers. NOTHING wrong with pipes or skulls if that's your thing -- but I was hoping for a bit less swearing and bit more info. Any recommendations or is the boro world just like that? LOL, it is a little like that, isn't it? If it makes you feel any better, I have absolutely no interest in making pipes or bongs either. Beads, marbles, etc are more my speed, too. 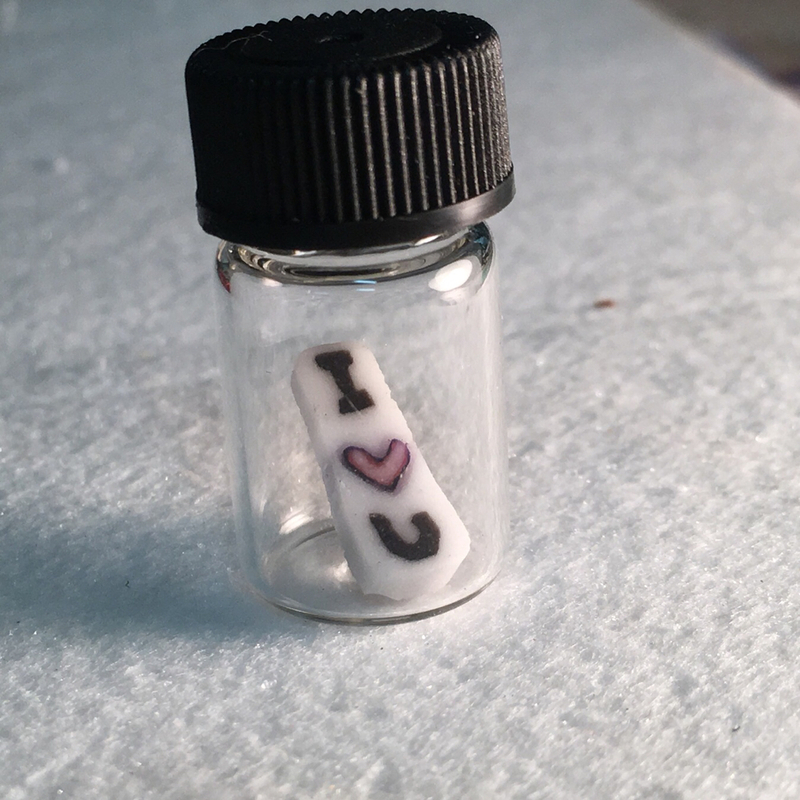 And borosilicate is wonderful mysterious stuff! After years of working with 104, it takes a little adjustment to working with a hard glass - but now that there are so many new colors and tube sizes, its well worth the effort, imnsho. As for online boro communities... tbh, I tend to spend a lot of time on youtube watching ppl work, as I'm always interested in new techniques. As for websites, the only one - other than LCE here - I bother with is The Melting Pot - www.talkglass.com. It does have a lot of pipe and equipment makers, but its not ALL pipe and equipment makers if you get my drift. There are some bead and other non-functional artists there, and it does seem to be reasonably busy there too. Thanks! I'm exciting at the possibilities! Of course, not like soft glass isn't just as wonderful. But I like the serendipity of not knowing exactly what you will get with the striking glass. Much of my future course depending on where we end up (location wise) and opportunities for lessons. Thanks for the lead -- if I find good sites, I'll pass them along. This is a newish FB group for boro color. Not a bunch of traffic yet. I would really like to get this room going again, even just a silent S&T. We haven't had show and tell in months. I would love for this room to be active again too! I'd be in for participating in the show and tell. I do pop into the talkglass site, as there is some nice info on boro color there. Really nice people, very generous with their knowledge. I too am turned off by some of the egos and toilet mouths on some sites, and wish this room had the activity of the past, but so it goes. Although not an interactive site, I would highly recommend the recorded studio demonstrations by the Corning Museum of Glass (cmog.org) available on youtube if you haven't seen them already. They are the next best thing to taking a class there. You'll pick up lots of info watching the masters explain while working. I just started a show and tell, if anyone would like to join me! I'm working on a personal challenge of making 100 Boro hearts over the next few weeks, trying to expand my skills and make some pieces for sales later on in the year. Wow that's a lot!! I'd love to join you if you want to do a heart thread. They are fun to make! I really need to get rid of my 9 acres. From Spring until the early Summer it takes all my energy to maintain it. 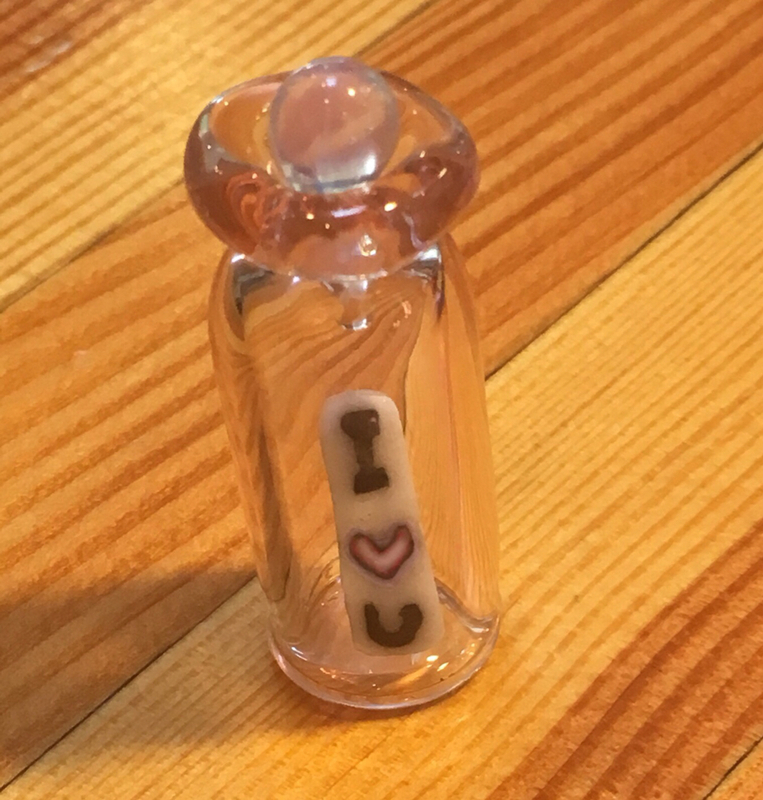 Hopefully I will be able to get back to lampworking and perfecting putting things in little bottles. 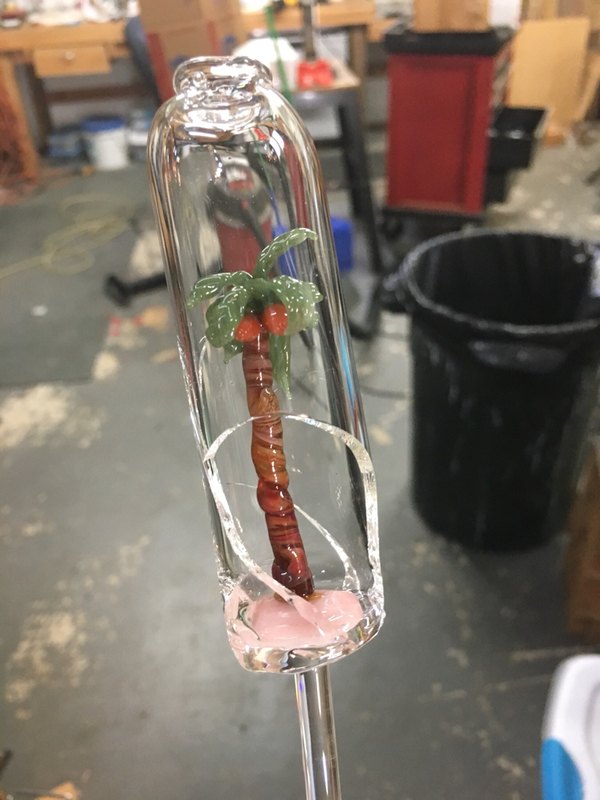 Here is an attempt to put a palm tree in a bottle I did a while back. Nice try there Dave. Looks like thermal shock there. I have the same problem sometimes. I get focused on a part of what I'm working on and forget to go back and keep the whole piece heated up, and then TINK!!! Hey looks like the palm tree is still usable. I put an elephant in a bottle but I can’t seem to locate the picture. I gave the piece to my daughter who loves elephants. Smaller things seem to be easier. Here are murine I did. Those are awesome! Thank you for sharing and inspiring!